Explore the 9,000 sq. ft. Selection Center on our Design Campus and be inspired! Discover ideas and imagine the possibilities for your home. Guided by professional Designers, you’ll discover hundreds of ideas for your home in our 9,000 sq. ft. Selection Center, housed in Home Expressions by JDR. We listen closely to your ideas and share our expertise as we explore inspiring options together, both inside the Selection Center and from an unlimited array of other sources. An appealing, all-inclusive environment helps you imagine how your vision for your home can become a beautiful reality. See, touch, and experience in one place all the vignettes, styles, materials, textures, finishes and accessories that make your home as individual as you are. Home Expressions by Jackson Design and Remodeling focuses on kitchens and baths that do not require structural changes or architecture. 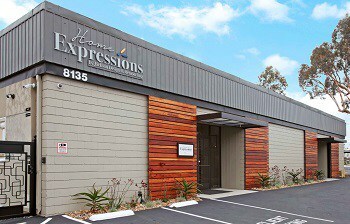 Home Expressions also encompasses specialty areas of your home, including surface finishes such as flooring, windows, and doors. Jackson Design and Remodeling focuses on new homes, whole home remodels, additions, outdoor living spaces, kitchens, and baths that require significant structural changes and architectural expertise. Learn more about Home Expressions by Jackson Design and Remodeling here.